A nurse commits malpractice in Maryland when she fails to do what a reasonable, prudent nurse would do and the patient suffers harm as a result. 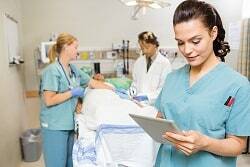 Every nurse must demonstrate the knowledge, skill, care, and diligence that you would expect from a nurse. If a nurse does not do so and harm is caused, the nurse is responsible. In the practical world, this means her medical insurance, the doctor's practice, or the hospital will be responsible for the harm. Most medical malpractice cases are directed at physicians. But the care that a nurse gives can be critical. If the nurse makes a key mistake, such as giving the wrong drug or the wrong dosage of a drug, or fails to monitor a patient or notify a doctor of a concern, then a negligence claim may arise against that nurse. The role of a nurse in our health care system has been remarkably recast in recent years. Nurses are expected to carry the patient care ball in ways that were not expected 50 years ago. There are lots of different types of mistakes that a nurse can make that can get people hurt or killed. But in the vast majority of serious injury or death cases, there are two things that make up the lion's share of these malpractice cases. If you think you have been the victim of nursing home malpractice, call 800-553-8082 or get a free online case review. A patient's life can hinge on whether a nurse is paying attention to the patient and communicating problems or concerns to the doctor. Nurses have to listen to patients and observe the problems that are there to be seen. Then, they have to both document and communicate those problems or concerns. There are three things that must be shown to successfully bring a malpractice claim against a nurse. This is rarely an issue. Either the nurse was treating the patient or not. None of our lawyers have ever seen or even heard of a Maryland case where this was a big issue. Second, the patient has the burden of demonstrating that the appropriate care was not given. In Maryland, this is typically done through the expert testimony of a nurse who can tell the jury what knowledge, skill, care, and diligence the nurse should have demonstrated and how and why it was not demonstrated in this case. Another way of looking at this is that the nurse departed from “good and accepted practices." Third, there was a nexus between the harm that was caused and the mistake that was made. In other words, the mistake causes the injury or death. In many malpractice cases, this is a real issue. This is particularly true when we have the doctors or nurses dead to rights on negligence. So they argue, "It would have happened anyway." In Maryland, we usually will need a medical doctor to make our case and rebut the argument, if it is made, that the harm would have occurred even if the negligence had not. Do You Need a Nurse to Testify Against a Nurse to Bring a Viable Claim? Can a doctor provide that same expert testimony? In other words, can the plaintiff's counsel use a doctor instead of a nurse to offer opinions on the appropriate nursing standards and whether the nurse complied with those nursing standards in this case? You would think Maryland law would be settled on this point. But it is not. If you read Maryland law, you get the feeling that our appellate courts are not getting bogged down in labels. A doctor has the requisite training and experience to comment on a nurse's standard of care, it would seem that they would be allowed to provide the testimony. On the other hand, they could follow the much discussed and debated Illinois case where the court rejected a medical doctor introduced to offer opinion testimony on the appropriate standard of nursing care by failing to adequately communicate a patient's condition to the attending doctor. The court's rationale was that nursing is a unique profession that is readily distinguishable from a medical doctor. The court was also concerned that a doctor would raise the bar too high on what should reasonably be expected of a nurse. How would a Maryland court have ruled in this case? The ultimate answer is that we do not know. Accordingly, plaintiffs' malpractice lawyers are best served by playing it safe and naming a nurse to testify on the nursing standard of care. Below are example settlements and verdicts against nurses and nurse practitioners. Our list only includes one Maryland case, our verdict in Baltimore City for $5.2 million. These verdicts are useful in understanding the range of money damages in lawsuits against nurses. You cannot use these cases to predict or calculate the settlement value of your case. 2015, New Jersey: $10,000,000 Settlement. A 15-month old plaintiff arrives at the hospital with pneumonia. The nurse attempts to intubate him three times but is unsuccessful. She does not tell anyone that after the third attempt, the tube is carelessly placed in the esophagus, causing a deprivation of oxygen. As a result, the child suffers a severe anoxic insult that causes brain damage, leaving him requiring 24-hour a day care for his entire life. Plaintiff claims that after the nurse unsuccessfully intubated the first time, the nurse should have asked for the physician's assistance. The case settles quickly after suit is filed for $10,000,000. 2015, Pennsylvania:$25,000 Settlement. A 13-year-old girl is at University of Pittsburg Physicians when a physician's assistant leaves her unattended after administering an injection. She falls off the table, hits her head, and suffers a concussion and a cervical strain. Her parents bring a claim, alleging that the physician's assistant failed to place her in a prone position, failed to think about the side effects of the injection which include dizziness, and failed to properly assess her and prevent her fall. The defendant denies liability but agrees to settle for $25,000. 2015, Massachusetts:$5,000,000 Settlement. A mom goes to the hospital, 31-weeks pregnant, due to headaches, vomiting, and burning chest pain. 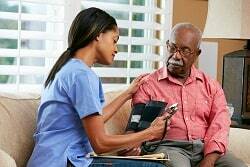 The nurse monitors her condition but fails to check her blood pressure. Once the nurse finally does take the woman's blood pressure, it shows preeclampsia. The baby shows a concerning heart rate pattern, but the nurse fails to tell the physician until after an hour and a half. Once a physician finally evaluates her, they have an emergency C-section done. As a result of the delay, allegedly, the infant suffers from oxygen deprivation and brain damage. The plaintiff claims that the nurse failed to properly evaluate her and diagnose her preeclampsia, and the nurse argues there was no deviation from the standard of care. The parties agree to a confidential settlement of $5,000,000. 2015, California:$1,500,000 Settlement. A 47-year-old teacher has low back surgery at the hospital. After the surgery is complete, she dies due to bleeding, which was the result of a small puncture of a vessel during surgery. Her estate claims that the nurses failed to call the surgeon despite signs of bleeding post-surgery, increased pulse, and decreased blood pressure. The nurse agrees to settle at mediation for $1,500,000. 2014, New York:$3,065,899 Settlement. A mother gives birth to her son under the care of two certified nurse midwives. During delivery, the infant suffers from oxygen deprivation, neurological injury, and spastic cerebral palsy. The mom brings a claim, alleging the nurses acted negligently by failing to convert the birth to a C-section after observing signs of fetal distress. The parties settle for $3,065,899. 2014, Baltimore City: $5,200,000 Verdict. An adult male is taken to St. Agnes Hospital via ambulance after he is injured at work when a barrier gate traps and twists his leg. At the ER, he is diagnosed with a knee sprain and sent home. After two days, he is still experiencing numbness and pain, and no sensation in his left foot. He returns to the hospital, at which time they discover that almost all the ligaments and tendons in his knee are torn and dislocated. His popliteal artery is injured, causing diminished blood flow to the leg. Two attempts are made to save his leg, however, he is ultimately transferred to the University of Maryland Hospital for an above-the-knee amputation. He brings a claim against the doctor and physician's assistant for medical malpractice. He claims that the physician's assistant evaluated him first and noted several serious symptoms on his chart but did not order any diagnostic tests other than an X-ray and she did not evaluate the range of movement. This causes a misdiagnosis, and it is alleged to be the cause of his injury. A jury finds the doctor and the physician's assistant negligent and awards $5,200,000 to the plaintiff. Miller & Zois handled this case for a very deserving client. 2014, Massachusetts:$4,000,000 Arbitration Award. A 55-year old male has a C1 neck fracture, not involving his spinal cord. He is treated with halo traction to help stabilize his neck, and several days into the treatment, he begins to experience disorientation and changes in his mental status. A psychiatrist orders 24-hour observation. His mental status continues to deteriorate, and antipsychotic medications are ordered. He begins to have difficulty swallowing and drinking, and despite these symptoms, no pulmonary consult is ordered. During the 24-hour observation, the sitter leaves the room to use the restroom with the consent of the nurse. A nurse comes in to replace her and finds the man unresponsive with a pulse in the 40s and abnormal oxygen levels. He suffers massive brain damage and dies. His estate brings a claim against the physicians and nurses, alleging negligence in monitoring his condition due to his likelihood for aspiration or pulmonary embolism. At arbitration, the arbitrator finds in favor of the man against one of the nurses and awards $4,000,000 to the plaintiff. 2014, Michigan:$50,000 Settlement. A three-day-old infant is in the neonatal intensive care unit of the hospital. An IV is placed in his right foot and allegedly infiltrates while he is receiving a total parenteral nutrition solution and intralipids under the care of the registered nurses. He suffers ischemia and necrosis from tissue damage as a result, which leads to his right third and fourth toes being amputated. His parents bring a claim against the nurses, alleging that they failed to ensure the IV site was covered in a way that would allow it to be visible at all times and that they failed to monitor, inspect, and remove the IV from the baby's foot when the parenteral salutation began flowing into the foot tissues. The parties settle for $50,000. 2014, Texas: $1,600,000 Verdict. A 52-year old male has a partial left shoulder replacement done at the hospital. He is discharged, but two days later, he returns to the hospital, showing signs of inadequate blood flow to his arm. He has a bypass procedure is done and incisions in the fascia to relieve some of the pressure. He now has limited use of left arm and hand due to the muscle and nerve damage. Plaintiff argues that the nurses should have noticed the signs of inadequate blood flow and called the surgeon. The hospital claims that the nurses did inform the anesthesiologist, multiple times, that the arm showed signs of poor circulation. Plaintiff then argues that they did not inform the surgeon of the issue. A jury awards the plaintiff and awards him $1.6 million. 2014, California:$375,000 Settlement. An adult female has surgery, does well, and is transferred to ICU and then to a private room as she appears fine. However, a few hours later when the staff comes to draw her blood, she is found unresponsive and hypothermic. They attempt to resuscitate her, but her health continues to deteriorate and she dies five days later. Her estate alleges that she was overmedicated, that the PCA pump was not functioning properly, and that the pulse oximetry alarms were not working because if they were, the nursing staff would have been alerted to her deteriorating state much faster. The defendants deny this but and settle the case for $375,000. 2013, New York:$550,000 Settlement. An eight-month-old boy is assigned to a visiting nurse at the hospital for pediatric care. This nurse does not plot the boys head circumference measurements, which results in her failure to recognize the boy was developing hydrocephalus. This results in permanent brain damage and his inability to live independently. His files a claim against the hospital for negligence in the failure to adequately monitor the nurse's progress reports and against the nurse serve for failing to keep adequate records. The defendants deny liability but settle, with the hospital paying $100,000 and the nurse paying $450,000. 2013, Massachusetts:$200,000 Settlement. A 62-year old man has a surgical procedure done, during which he develops hypoxia. He is kept in the ICU and intubated when he experiences hypoxia again. Tests show that he may have blood clots in his lungs, so he has a ventilation-perfusion scan done which confirms this. The surgeon does not order Heparin but orders a different anticoagulant medication, and the order is written by his physician's assistant, not on an immediate basis, causing a delay before the patient finally gets his medicine. Twelve hours after the first dose, he has severe respiratory distress, and the nurse gives him anti-anxiety medication and morphine as directed to by the chief resident whom she asked, instead of the physician's assistant or surgeon. The man dies from multiple blood clots in his lungs, and his estate brings suit against the doctor's assistant and nurse alleging negligence in timely ordering and administering the medication. He further alleges the nurse was negligent in administering the anti-anxiety and pain medications when he was in respiratory distress. The defendants argue that the medication ordered, Lovenox, could be used in place of Heparin and is approved by the FDA. A confidential settlement was reached for $200,000. 2013, Louisiana:$124,089 Verdict. An adult female has a right total knee arthroplasty done at the hospital. She suffers a stage II sacral decubitus ulcer and enzymatic debridement is required. She brings a claim, alleging the ulcer was preventable and caused by the nursing staff's negligence in treating her. She claims that the nursing staff failed to respond to her complaints of pain, failed to perform skin assessments, and failed to help relieve pressure on her sacral area. The defendants admit liability but dispute the extent of her injuries, and a jury awards her $124,089. Our Baltimore based attorneys cover medical malpractice claims throughout the entire state. We may be able to help you file your medical malpractice claim and recover the compensation you truly deserve. If you live in the Baltimore Washington area and believe you or a loved one has been harmed by a doctor's or nurse's mistake, call 800-553-8082 or get a free online consultation. What is my malpractice claim worth? Looking at verdicts based on the type of malpractice claim.